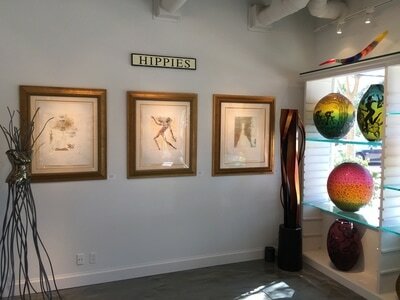 PALM BEACH GARDENS_ Christine Argillet has known and loved art from an early age. 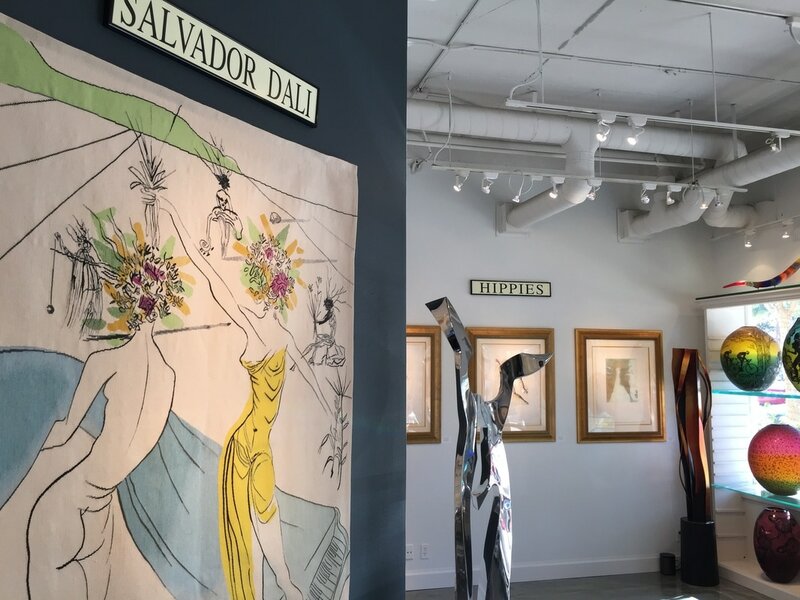 Madame Argillet continues that work by curating exhibits from her father's impressive collection of Dali art to museums and art galleries all over the world. 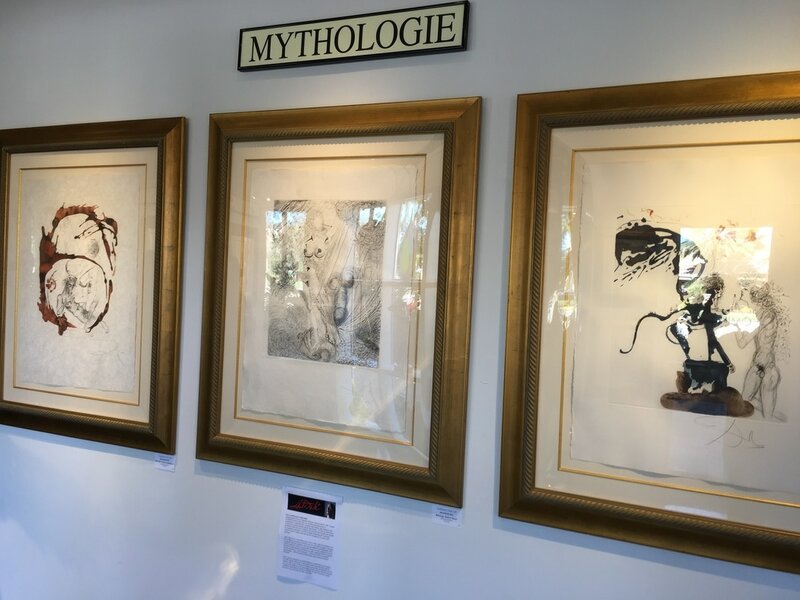 This month, that includes a showing at Onessimo Fine Art gallery in Palm Beach Gardens, the first time Dali's art has come to the Palm Beaches. "When my father passed away in 2001, we didn't know exactly what to do with the collection," said Madame Argillet, making a personal appearance at the gallery. "We thought the best would be share it with people ... that it would be seen as much as possible instead of on our shelves." "We are very happy to have it here for the first time in Palm Beach. 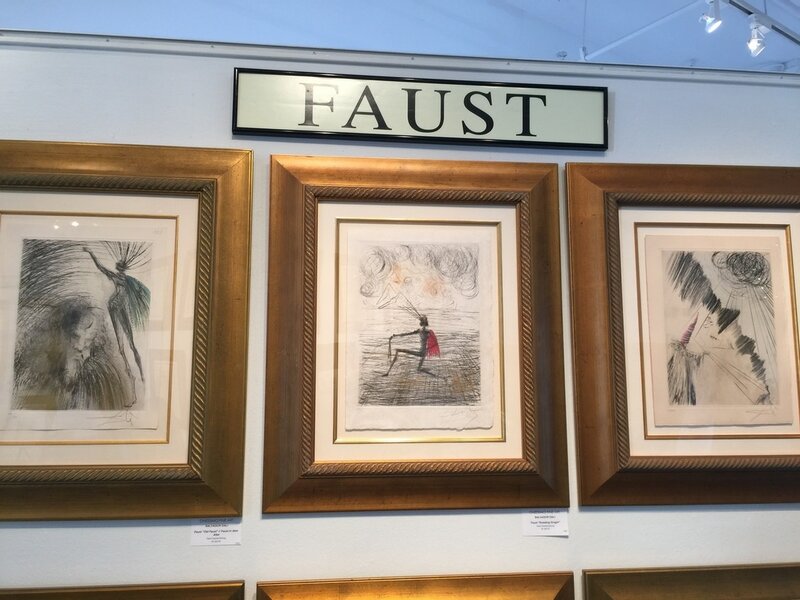 She added, "It's the first time we have had nine drawings shown, and the very large Aubusson hand-woven tapestries. " Of course, an exhibit like this one doesn't come together overnight. In fact, according to the gallery's president, Debra Onessimo, it was over a decade in the making. "I tried to get this show ever since the gallery opened 15 years ago," said Ms. Onessimo, "and diligently trying for 10 years before the opportunity came free a couple of years ago." "Why this particular collection is important is because of the period," she noted. 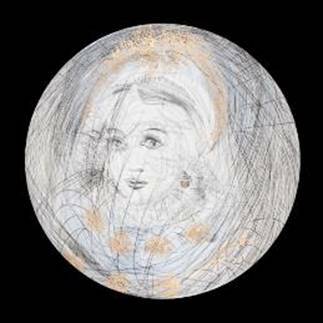 It features "some of Dali's most beautiful etchings," produced "in the prime of his career." "What we have here are works mostly from the Sixties," said Madame Argillet. "Sketches that reveal Dali in his more intimate kind of work -- elaborate and constructed works that take a long time to do." Much like the magnificent tapestries on display, that take up to three years to weave. 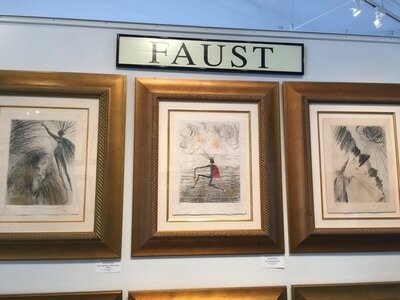 All the works on display are also available for sale, starting at $1,200 for plates, going to $4,000 for etchings and up to one million dollars for a tapestry. 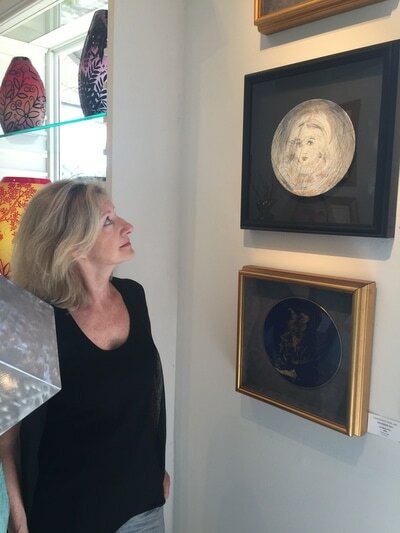 With her love of art, we asked Madame Argillet if she does her own painting. "I would prevent myself from drawing anything," she said, laughing. While she may not be an artist herself, having art in life is important. "If I don't see art or listen to music, if I don't see dance or a video, I feel my day was lost. The beauty of life is art. It is something I need everyday, like food." 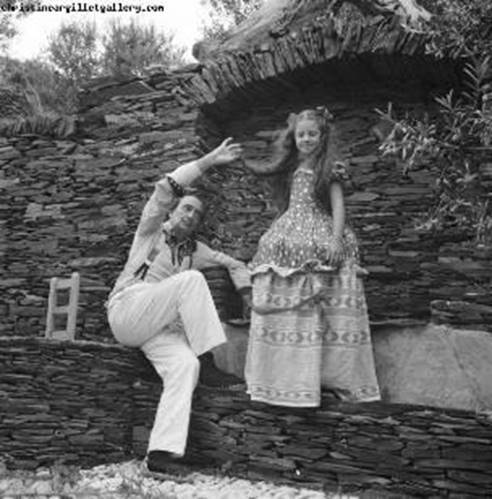 With the world still enthralled with the genius that was Dali, her days are certain to be rich and full. The beauty of life is art. It is something I need everyday, like food."